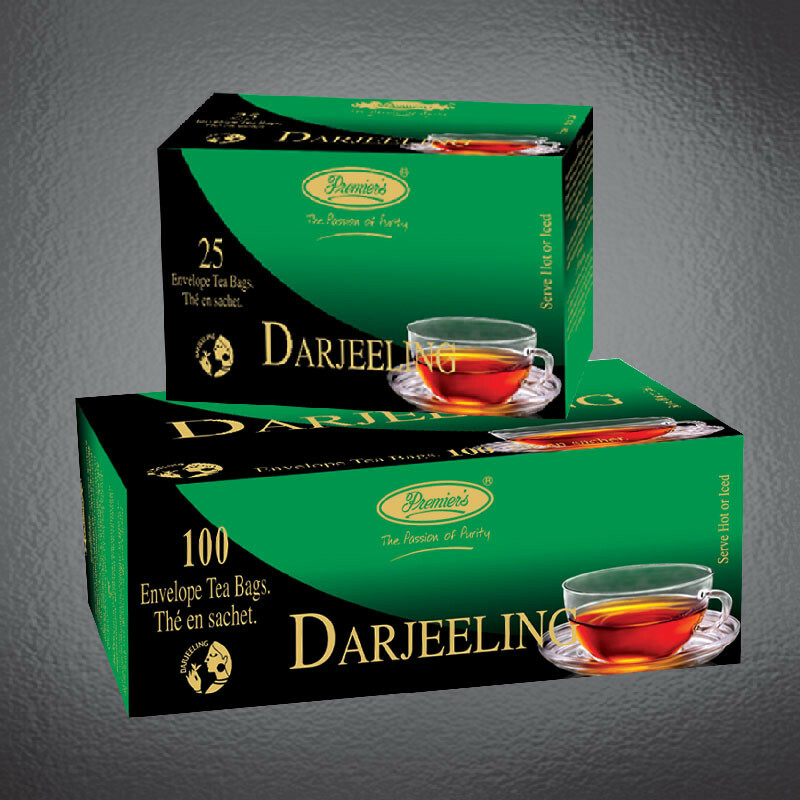 A pack of 25s and 100s tea bags containing Pure Darjeeling tea in paper envelope, with string and tag but with out pin and staple . 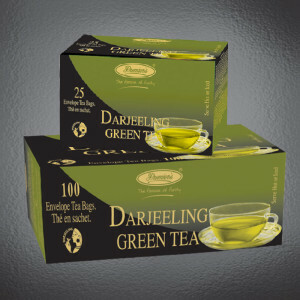 A cup of Pure Indian tea for everyone ,fresh and full of natural aroma. Premiers Darjeeling green Tea has its own characteristic flavor which is quite different from green teas grown else where in the world .Because of this Distinctive flavor, the demand for Darjeeling green tea is increasing ,along with its production .The tea is bagged and wrapped in individual paper sachets to retain the taste and flavor ,placed in a pack of 25s and 100s tea bags in a box.